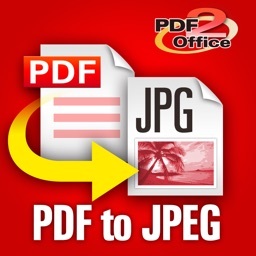 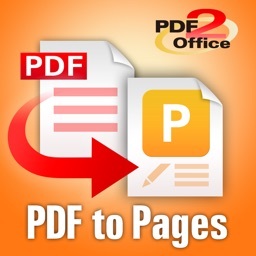 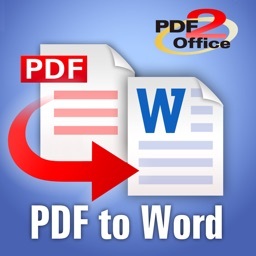 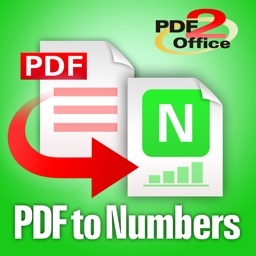 PDF to JPEG by PDF2Office converts your PDF to JPEG (JPG), PNG or TIFF Files. 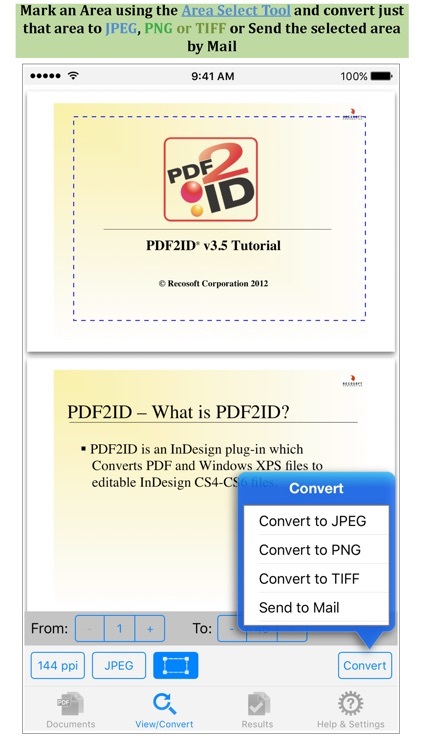 Convert PDF files to JPEG (JPG), PNG or TIFF images instantly with a simple tap. 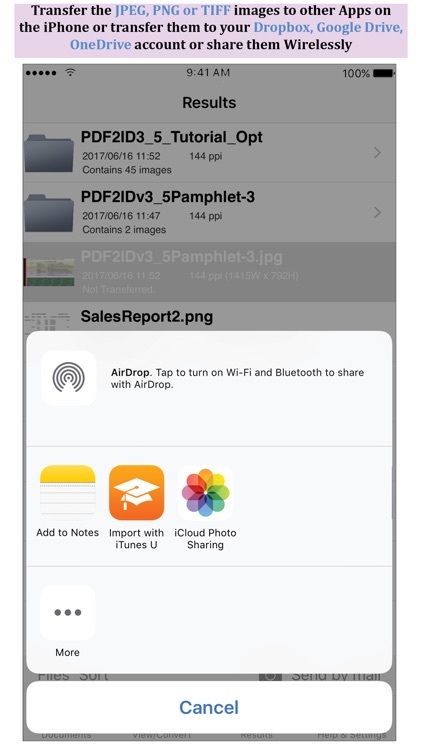 Mark specific areas to convert using the Area Select tool and have it editable on your iPhone! 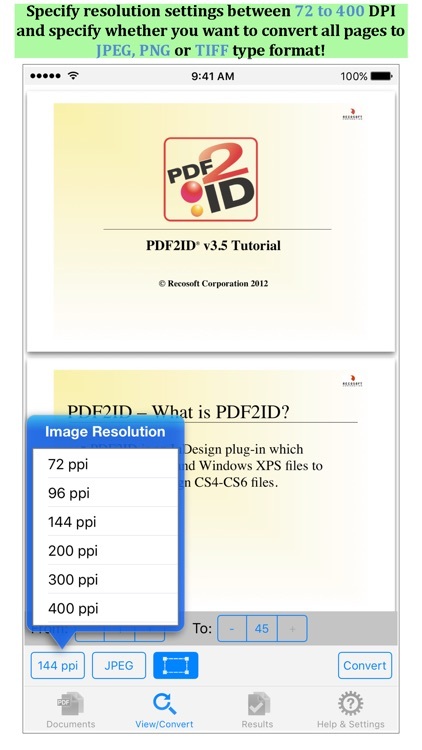 PDF to JPEG converts every page in a PDF to JPEG, PNG or TIFF formats. 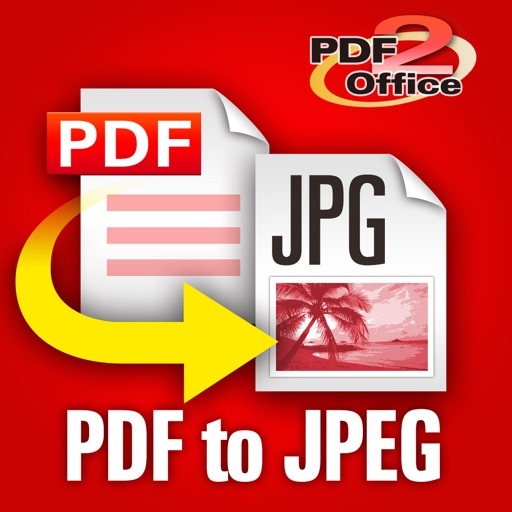 It automatically creates a folder with all the resulting JPEG, PNG or TIFF images with thumbnails and details about the pixel density and resolution specified during the conversion. 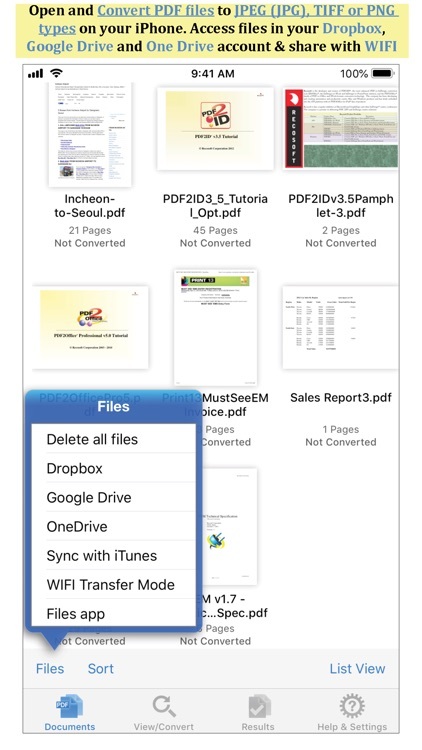 * Select an area of interest and have the contents embedded into a new Mail automatically.